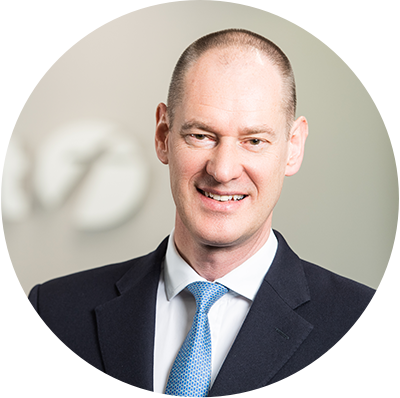 Appointed Chief Executive in January 2016, Manfred Rudhart has worked for Arriva’s parent company Deutsche Bahn since 2008, and has held a variety of senior management and financial roles. Since May 2013 he has served as CEO of DB Regio, a subsidiary of Deutsche Bahn which operates commuter train services. Rudhart studied in France and gained a PhD in electrical engineering. He worked in research and development for laser applications before joining management consultancy Booz Allen Hamilton in 1996. Sir Brian Souter, a qualified chartered accountant, founded Stagecoach with his sister, Ann Gloag, in Perth, Scotland, 1980, with just two buses, transforming it into an international transport group. He has personally championed the group’s focus on providing greener, smarter travel and has pursued a number of transport ventures outside Stagecoach. Sir Brian set up his own Scottish Charity in 1992 with his wife Betty. The trust assists projects for the relief of human suffering in the UK ad overseas, particularly, but not exclusively, those promoting spiritual welfare. Dean Finch joined National Express as Group Chief Executive on 15 February 2010. Prior to joining National Express, Dean was Group Chief Executive of Tube Lines from June 2009. Before that Dean worked for over 10 years in senior roles within First Group plc. He joined First Group in 1999 having qualified as a Chartered Accountant with KPMG where he worked for 12 years specialising in Corporate Transaction Support Services including working for the Office of Passenger Rail Franchising on the privatisation of train operating companies. At First Group, he was Managing Director of the Rail Division from 2000-2004 and then was appointed to the main board as Group Commercial Director in 2004, before being made Group Finance Director. With the completion of the Laidlaw acquisition he became Chief Operating Officer in North America before returning to the UK as Group Chief Operating Officer. Matthew was appointed Chief Executive of FirstGroup on November 2018, having previously joined the Group as Chief Financial Officer in December 2015. Prior to joining FirstGroup, Matthew held several senior positions at specialist components manufacturer Essentra plc, culminating in Group Finance Director. In this role, he created and drove a strategy to achieve growth both organically and through several acquisitions across Europe and Asia. Matthew began his career at Ernst & Young as an auditor, working both in London and Italy.